The coworking landscape is rapidly growing and changing. By 2022, it is predicted there will be more than 30,432 coworking spaces and 5.1 million members worldwide. We are proud that several Greetly visitor check-in app clients are leading the industry's growth and maturity. Today's Coworking industry leader have demonstrated that winners understand the intersection of real estate and community building. It only makes sense that these coworking operators are looking to technology to improve their efficiency and streamline tasks to increase their productivity in order to stay ahead of their competitors. Here is a recap of recent press coverage of Greetly shared workspace clients. Founded in 2013, Industrious has enjoyed tremendous success and growth in just five years of operation. 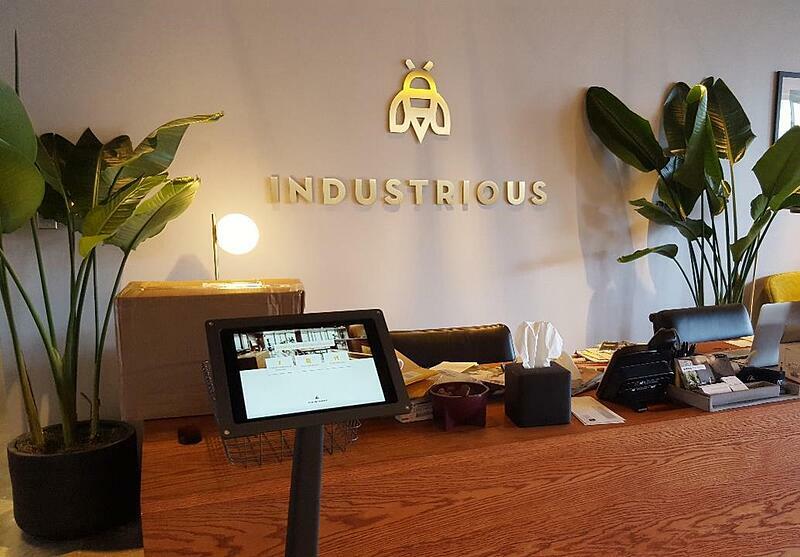 Industrious is currently the largest premium workplace provider in the United States, operating more than 50 coworking spaces in 33 cities. When former mega retailers like Toys-R-Us and Brookstone go bankrupt, large retail spaces become vacant in shopping malls across the country. While other big box retailers may absorb some of the space, most of the vacancies are hard to fill in the short-term. 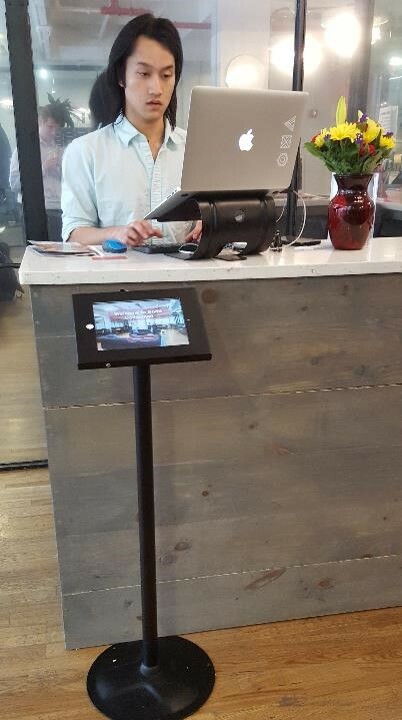 Many traditional retail tenants are struggling in the current eCommerce era. Few retailers are growing on a large enough scale and size to warrant the need the number of large spaces that have become available. Industrious Office is going to help fill the void. Industrious has inked a multi property deal with U.S. mall owner Macerich to bring shared office spaces into shopping malls. One location Industrious Office will occupy is the former Barney's location in Scottsdale, AZ. Industrious has traditionally focused on downtown class A commercial real estate. Moving into the mall gives Industrious access to a new type of member. Presumably at great lease rates. The malls also win because Industrious brings a steady stream of traffic - both members and their visitors - who can take advantage of traditional mall shops. Industrious Office also announced its acquisition of coworking competitor Assemble. The acquisition includes 42,000 square feet of office space and will double Industrious's Chicago presence, taking over all three of Assemble's locations in Wicker Park, Old Town, and West Loop. Industrious already operates three locations in Evanston, Fulton Market and the company's first space in River North. Bond Collective, formerly Cowork.rs, was named one of Inc. Magazine's fastest-growing companies on its 36th annual Inc. 5000. The prestigious list ranks the fastest-growing private companies in the United States. Bond Collective ranked 922 and was the highest ranking coworking company on the list. Inc. Magazine reports an impressive 536% growth for the New York based chain of shared workspaces. And more growth is scheduled. Bond Collective is due to open two more locations, in Bushwick, Brooklyn and and Station House, Philadelphia, later this year. A Washington, DC space is due to open in early 2019. The Farm Soho was featured in the New York Post on August 5, 2018. The article extols the virtues of the meaningful connections that are being created by coworking spaces. The New York Post refers to The Farm Soho's coworkers as "entrepreneurs and innovators." A coworker told the New York Post that the workspace, located in a reclaimed wooden loft, meets coworkers' needs and cultivates relationships in an aesthetically pleasing work environment. The Farm is also expanding, with new location in the Nomad and Nolita neighborhoods of Manhattan. Galvanize is a hybrid. They are simultaneously a leading computer coding school and coworking company. In July, Galvanize announced its acquisition of Hack Reactor, an immersive computer coding and web development school. Hack Reactor's San Francisco headquarters, as well as its New York and Austin, Texas operations will be consolidated into the Galvanize campuses located in those cities. Galvanize, based in Denver, operates eight campuses and coworking spaces in a total of seven U.S. cities. In addition to the acquisition of Hack Reactor, Galvanize has also secured $32 million in funding by Catalyst Investors, a New York-based equity firm. Reuters reported that Galvanize had already raised $70 million in funding prior to the round secured by Catalyst Investors. The funding will be used for further growth, future acquisitions and to expand Galvanize geographically. Keen coworking space operators and community managers know that their staff are their most important resource. They recruit members and they keep the space operating efficiently. Most importantly, they are performing the intangible that matters most to a shared workspace's success - building a sense of community. Greetly frees your staff from the mundane administrivia so they can focus on important tasks like hospitality, forging member relationships, planning and executing events and property management. That is why Greetly is a top coworking software vendor. For two years in a row, Greetly has been nominated for best coworking software in the annual Coworky Awards at the Global Cowkring Unconference, often called GCUC. All visitor's information is stored in a cloud-based visitors logbook that can be pushed to your CRM system. Greetly instantly sends notifications to the right people or person using a variety of mediums, including phone calls, text messages, emails, and Slack.